Over the years, Timothy has been instrumental in starting several chamber music groups. 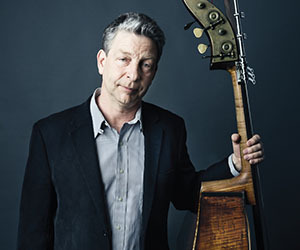 BASStiality, or the Toronto Symphony Double Bass Quartet was an opportunity to have a lot of fun and explore many styles of music—classical, jazz, and pop. That group began with one concert and lasted for 15 hilarity-filled years. The Bach Consort represented the other side of Tim’s personality. This musician-organized group was a musical and philanthropic success. Every performance raised money for a different Toronto charity, thus its mantra, “Giving Bach to the Community”. The group performed with conductors such as Bernard Labadie, Nicholas McGegan, Dame Jane Glover, Yannick Nézet-Séguin, and Harry Bicket. In addition to giving musicians and local audiences a chance to experience Bach’s profound music, the Bach Consort raised over $400,000 for local charities over a span of 20 years. Currently, Timothy is the founder and music director of the Kingston Road Village Concert Series. This Series presents four fundraising concert per season at Kingston Road United Church. Teaching is a big part of Timothy’s life. He is busy at the University of Toronto, National Music Camp of Canada, and in his own home studio. For 20 years, he was involved with the TSO Adopt-a- Player program, acting as its music director in its last three years.